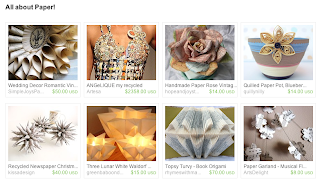 Ooh, one of my paper pots was included in an Etsy treasury, All About Paper. 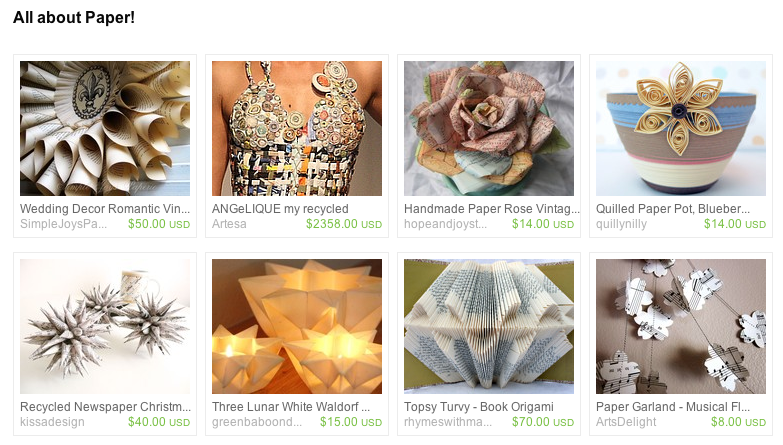 Some gorgeous items are in this treasury, one of my fav's being the paper dress. Amazing! Awsome, and congrats, I'm excited for you!!!!! Congratulations! Love those delicate pots! Congratulations Tracey!! 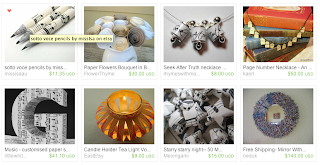 I see it and its lovely!